CANNES, France, May 9, 2010 (AFP) - Hollywood blockbusters that take aim at greed provide the razzmatazz at Cannes this year as the French Riviera braces for its annual film frenzy mixing megastars with more obscure arthouse movies. 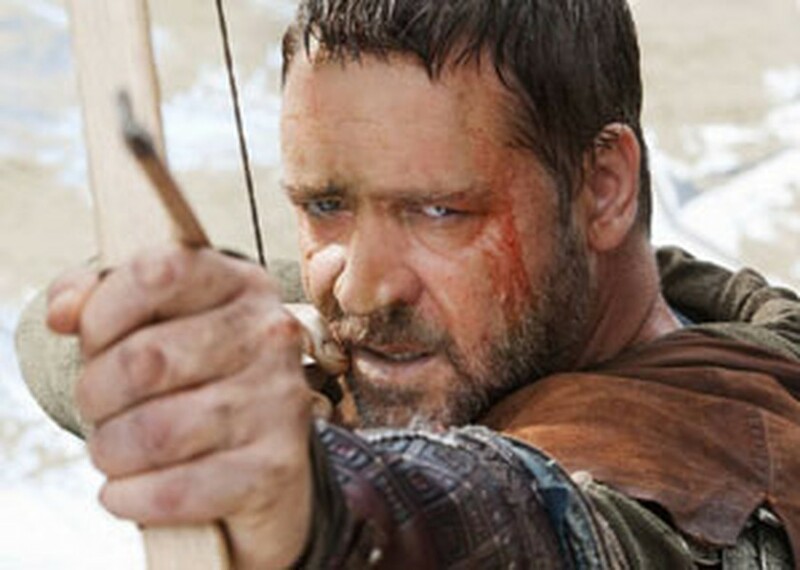 Ridley Scott’s "Robin Hood," starring Russell Crowe as the medieval English archer who robs the rich to help the poor, and fellow Australian Cate Blanchett as his love interest Maid Marian, opens the festival on Wednesday. Later in the week Oliver Stone's "Wall Street: Money Never Sleeps" sees Michael Douglas reprise his 1987 role as rogue stockbroker Gordon Gekko now getting out of jail and warning Wall Street of impending financial doom. Gekko was the man who coined the phrase "Greed is good" back in the avaricious 1980s, but he has now seen the error of his ways. Denouncing greed is a theme that runs through the notoriously extravagant festival this year, with the documentary "Inside Job" probing the financial crisis of 2008 that brought the world to the brink of economic collapse. "Cleveland vs. Wall Street" meanwhile stages a mock trial in which small-town victims of the subprime crisis fight it out with bankers and mortgage brokers. Douglas, Crowe and Blanchett will be among the A-list celebrities sashaying up Cannes' fabled red carpet, along with stars like Sean Penn, Anthony Hopkins, Naomi Watts and Javier Bardem. They will be on La Croisette to attend gala premieres of films by Mexico's Alejandro Gonzalez Inarritu, Japan's Takeshi Kitano, veteran US director Woody Allen and New Wave icon Jean-Luc Godard. Fears of a real-life drama rippled along the Riviera last week when a freak storm hit Cannes, sending giant waves crashing over cafes and festival installations on the beachfront La Croisette, causing millions of euros' (dollars') worth of damage. But organisers say the show will go on. The show that first began in 1946 this year sees "Alice in Wonderland" director Tim Burton preside over a jury that will present the coveted Palme d'Or top award to one of the 18 films in the main competition. This year's crop is marked by austerity and a distinct lack of frivolity. It includes works from the likes of Iran's Abbas Kiarostami, who makes his first foray into European cinema with "The Certified Copy," starring French actress Juliette Binoche. Mahamat-Saleh Haroun's "The Screaming Man" brings Chad for the first time to the Palme competition, whose results will be announced on May 23, while Ukraine also makes a debut in the main category with Sergei Loznitsa's "My Joy." Asia has a strong showing, with two entries for the Palme from South Korea -- "Poetry" by Lee Chang-dong and Im Sang-soo's "The Housemaid" -- and China, Japan and Thailand also represented. France has three films in the main race that last year was won by Michael Haneke's "The White Ribbon." The United States has just one. "Fair Game," by "The Bourne Identity" director Doug Liman, looks at the bid by former US president George W. Bush's administration to discredit CIA agent Valerie Plame. The prestigious Directors' Fortnight competition, taking place in parallel to the race for the Palme d'Or, promises some lively fare, with documentaries on disabled Congolese street musicians and ageing rockers The Rolling Stones. But Cannes would not be Cannes without a controversy and this year a row has already started over a film about France's colonial past in Algeria, "Outside Of The Law" by Rachid Bouchareb. Far-right groups said they will protest outside the film's screening and a French member of parliament condemned it as a "negationist" rewriting of history. Around 10,000 movie industry types, 4,000 press and thousands of film lovers and celebrity watchers are due to attend the 12-day gig whose heady cocktail of commerce, glamour and high art makes it the top film event of the year. "In Cannes you have both a major film from a (Hollywood) studio for the opening, and a totally unknown Ukrainian filmmaker with an experimental film in the competition," said festival director Thierry Fremaux, summing up the event's diversity.